The world's first coins were Greek coins made in Lydia about 640 BC, but the area of Lydia is now in present day Turkey, so that the relationship between Turkey and gold coins dates back over 2,000 years. 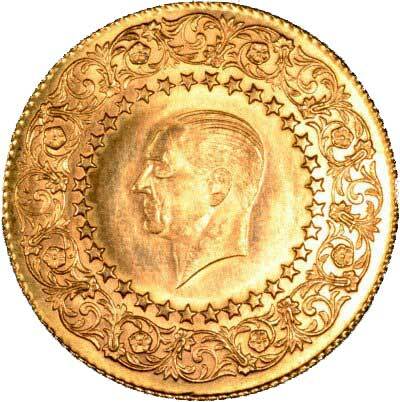 With this long history, it is no surprise that Turkey has produced many different denominations of gold coins, which include Sultani, Serifi, Yarim, Cifte, Tek, Istanbul, Dort, Luk, Onluk, Altin, Mahbub, Piastres and Lire. Turkish 50 Kurush / Piastres coins available here. Turkish 100 Kurush / Piastres coins available here. 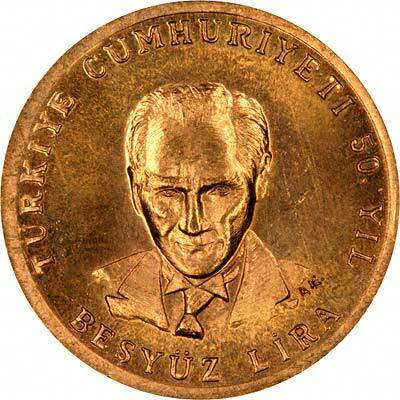 Turkish 10,000 Lira coins available here. 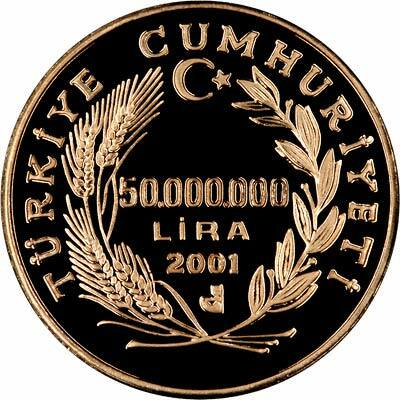 Turkish 50,000,000 Lira coins available here. 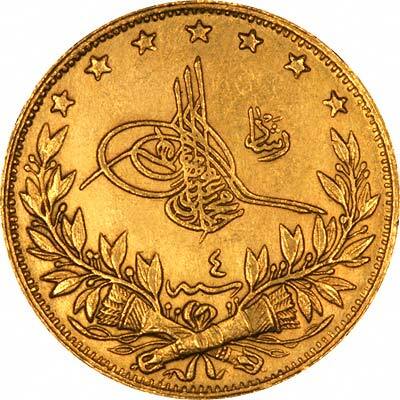 Because of the use of the Arabic style Turkish inscriptions of most earlier Turkish coins, most western coin collectors ignore Turkish gold coins. Modern Turkish coins are not much easier to identify either. 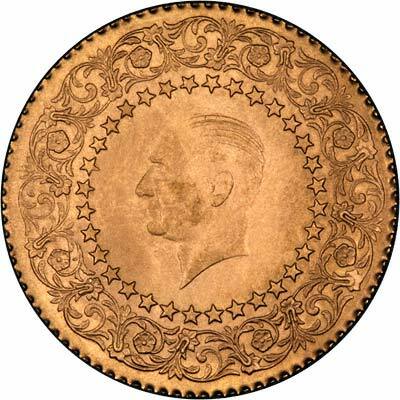 This means that any collectors of Turkish coins should be able to find many relatively cheap Turkish coins, which may include rare and potentially valuable items, provided he is prepared to do more research than the average collector. 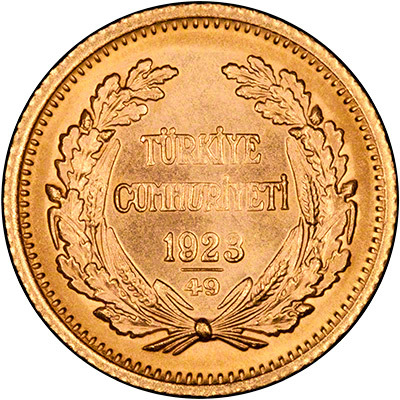 As Turkish coins are not within our main areas of specialisation, any of our cataloguing of Turkish gold coins may be in error. 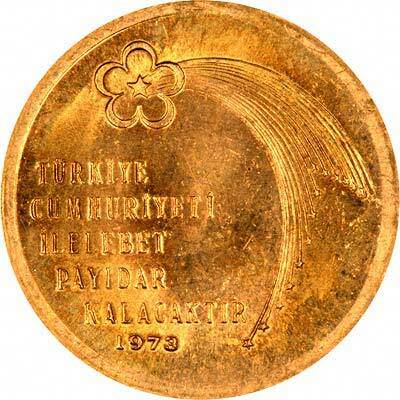 It also means that most of our Turkish gold coins will be offered by type, and will be quite reasonably priced. 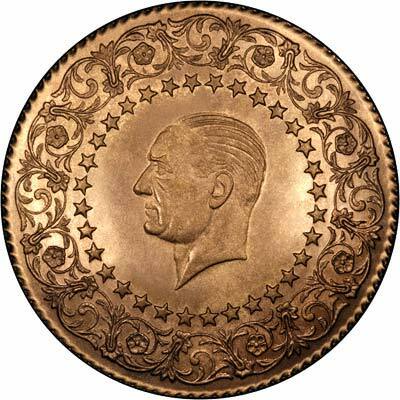 We give brief specifications for some of the most recent and commonly encountered Turkish gold coins, followed by a stocklist of any Turkish gold coins we have for sale. The names kurush and piastre are interchangeable. Some catalogues show denominations in kurush, others in piastres. They are both the same. Since 1899 Turkey has issued some monnaies de luxe. These were intended for presentation purposes or jewellery. 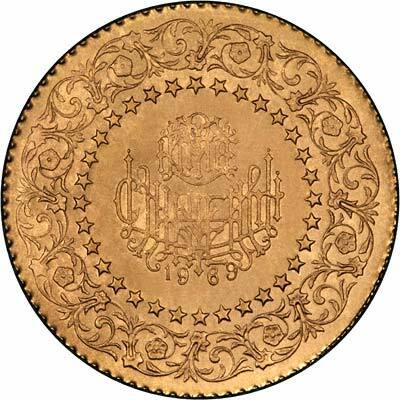 They are issued at a slightly lower weight than their normal counterpart denominations, but the same alloy fineness, and of larger diameter but thinner, and from more ornate dies. We will denote these below by the abbreviation MDL. 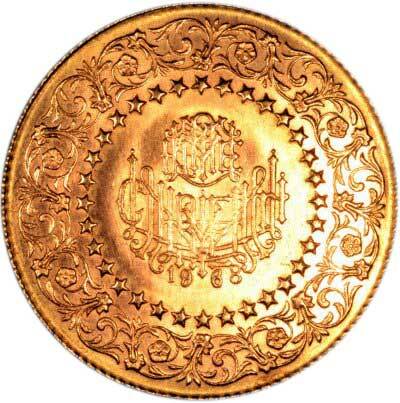 Technical specifications of the most frequently encountered Turkish gold coins. 50,000 Lire 26.5 7.96 ? ? 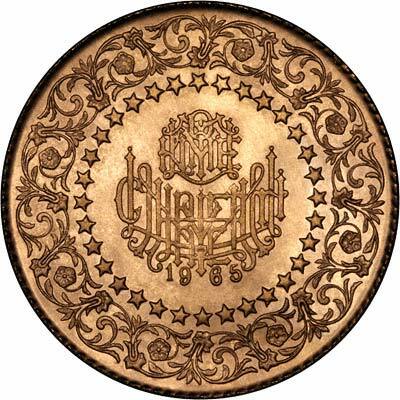 For silver and base metal coins of Turkey, please look at our original Chard Coins website. 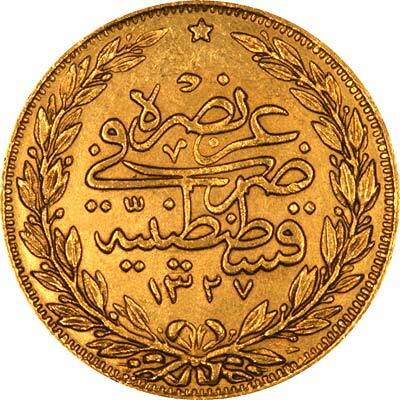 We make an active market in almost all world coins, gold or otherwise, including Turkish gold coins. If you have any of these coins to sell, please contact us, or post them to us for appraisal and offer.